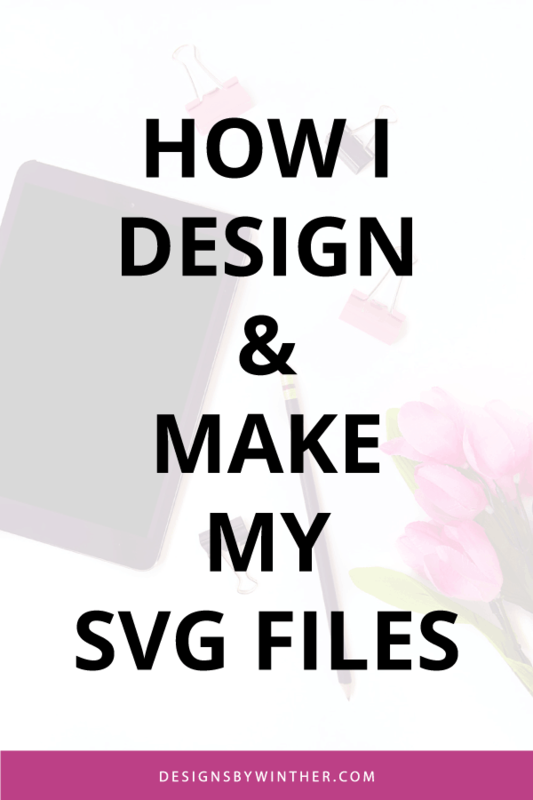 In this post, I will let you into my little secret world of creating SVG files. I have gotten some questions on what fonts I use, and how I make my designs. This is where you get your answers if you are interested in knowing how they are made. When I first starting selling and really explored the world of SVG files in May of 2016 I know I wanted to get all the information I could. So, I have always been a creative soul and have been making things ever since I can remember. I have about 3-4 blogs made before this one because I have always wanted to share my creations in hope of inspiring others and connecting with like-minded people. In 2014 I got my first silhouette cameo and started creating my own designs that I could cut. In the beginning, I worked on cards, and 3D sculptures mostly. However, interests evolve and I had begun to experiment with my hand lettering in 2015. In May 2016 I decided to open some Etsy stores in order to bring in some income on files that I had made for myself. Since then I have been making my own files on an everyday basis and have evolved my style to what it is today. On this website, 98% or more of the free SVG files you find are files that I have hand-lettered on my iPad Pro. In 2017 I got the IPad Pro and ever since then, I have made most of my SVG files on that. I use an app called Procreate to make my designs. The app combined with the Apple Pencil offers pressure sensitivity, which makes for a perfect space to create hand-lettered designs. I have created my own brushes that I use in the app, which gives me the thick and thin strokes when creating my letters. I like the creative freedom I have when drawing the letters myself. Drawing my own letters will give the SVG files some personality because I can stretch the letters into spaces, that a font would not let me fit them into. You can see a little short video of me writing hello below. Once the design is made on my IPad Pro I save the file as a PNG and upload it to One Drive in order for me to access it on my desktop. I then open the file in Adobe Illustrator and digitize the file, recolor it and save it to all the different formats that I offer here on Designs by Winther. Want to match some custom text to my SVG files? If you want to match some custom text to one of the files you have found here on my site, please look at the font that I have personally created. I have made the letters in the same way that I do when I make a SVG file. So using my font will give you a similar feel to the letters that the SVG files are made from.